Happy spring! 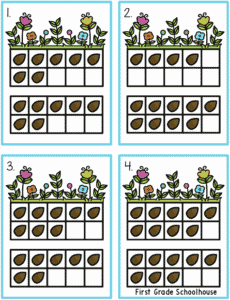 With spring in the air, I have a fun spring ten frame activity that you can use as a math center, pocket chart activity, or for early finishers. 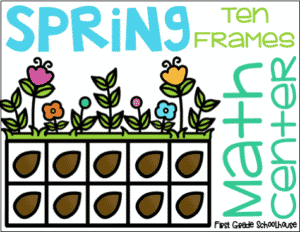 Spring Ten Frames Math Center can be used throughout the spring season. Students match the ten frame dots to the equations (sums from 12-18). It includes a direction card and center cards in color. 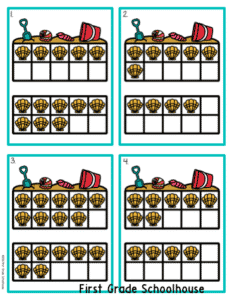 Practice and reinforce math fact skills with this engaging and easy to use center. It also makes a great partner activity. Students record their answers on a recording sheet by writing the equations.